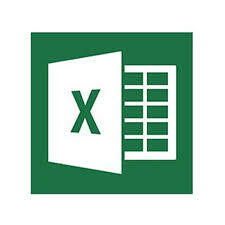 If you’re looking for really great Introductory Microsoft Excel 2013 training you’re in the right place. Companies large and small choose us – why? Your own tailored, Introductory Excel 2013 training course, at your own premises at the same price as a standard course from elsewhere. We will learn how to create a workbook from scratch, how to format data and how to create simple formulas and functions. This course aims to introduce delegates with little or no understanding of the Microsoft Excel software to the basic features of the package. On completion of the course delegates should understand and be able to accomplish basic operations associated with developing, formatting and using a spreadsheet. They should also be able to accomplish standard mathematical and logical operations using basic formulae and functions. They should also be able to use some of the more advanced Microsoft Excel applications such as importing objects, and creating graphs and charts. •Worksheet Setup – modifying worksheet margin settings, adjusting worksheet setup to fit one page, adding a header and footer, changing document orientation, page size, etc.